They were supposed to be together forever. 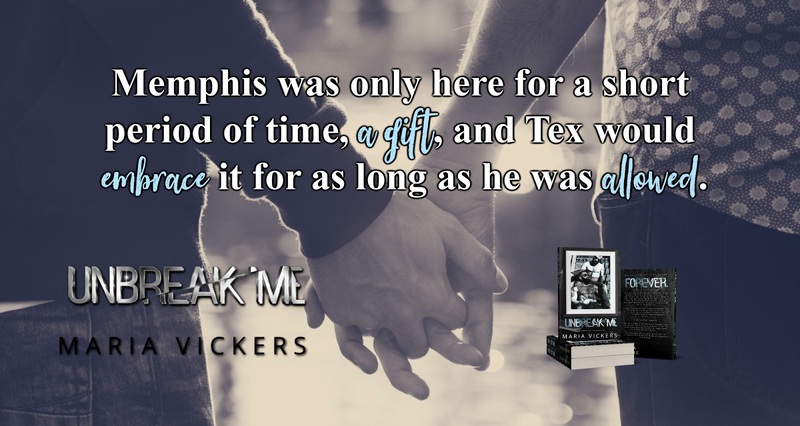 That was the plan, but through a cruel twist of fate the night before their three-year anniversary, Tex Davis lost the one man he would ever love, Memphis King. A year has passed and he still hasn’t been able to move on. Everyone tells him it’s time, but what do they know? Memphis was his partner in love and life. Losing him, broke Tex. Tex has been given an opportunity to move from New York to Seattle. His friends and family are encouraging him to take it, but he has already decided to decline the offer because that would mean leaving Memphis behind. Whether it be fate or something else, Memphis came back to him. 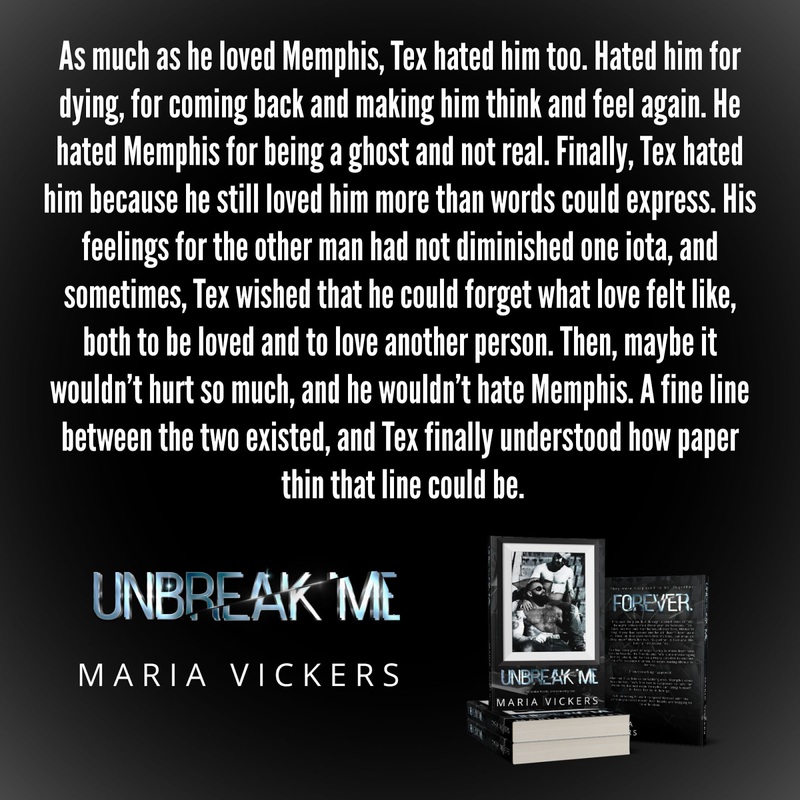 Tex’s first love is supposed to help him move on, but not even Memphis can bring himself to force Tex to let him go. Is it so wrong to want to spend forever with the person you loved most? 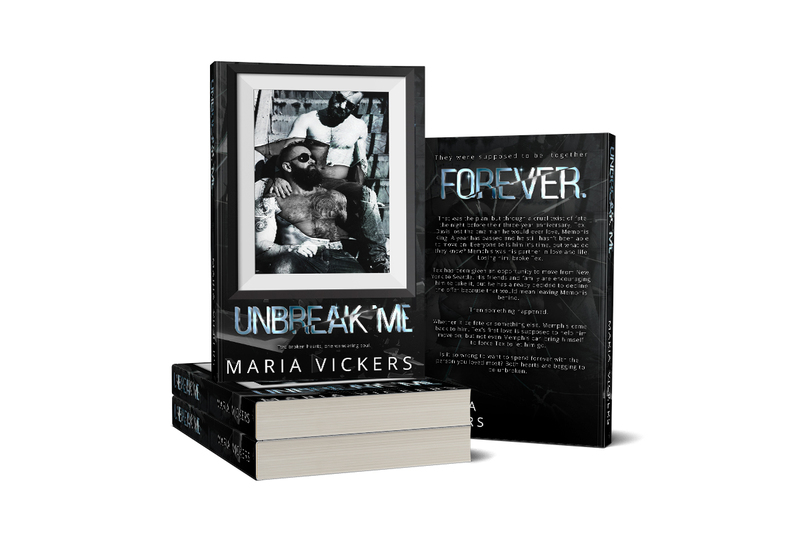 Both hearts are begging to be unbroken. Two broken hearts, one wandering soul. AVAILABLE FOR A LIMITED TIME ON ALL MAJOR RETAILERS!! PRE-ORDER FOR ONLY 99 CENTS! Maria Vickers currently lives in St. Louis, MO with her pug, Spencer Tracy. She has always had a passion for writing and after she became disabled in 2010, she decided to use writing as her escape. She believes that life is about what you make of it. You have to live it to the fullest no matter the circumstances. From a young age, she has always loved books and even dreamed of being an author when she was younger. Growing up in the Navy, she used to weave tales for her siblings and her friends about anything and everything. And when she wasn’t creating her own stories, she had a book in her hand. They transported her to another world. She hopes that with her books, her readers have the same experience and that they can relate to her characters. Getting sick changed her life forever, but it also opened doors for her that she thought would always be out of reach. 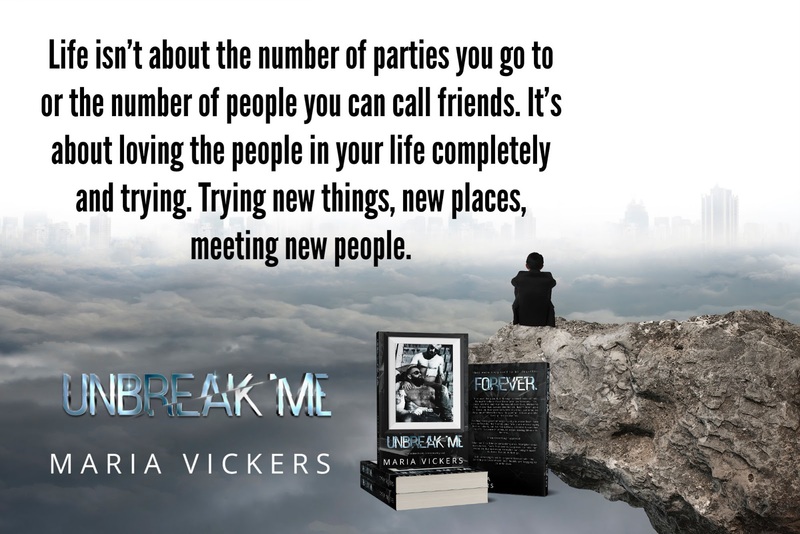 Join her reader group, Maria’s Love Seekers. NOW LIVE & ONLY 99c!!! Luna Caged: Behind the Wall by Margaret McHeyzer is available now!!! ﻿FREE!!! Predator by Liz Meldon is FREE for a very limited time!!! NEW SERIES!!! The Fantasy Series by S. Valentine is available now!! !